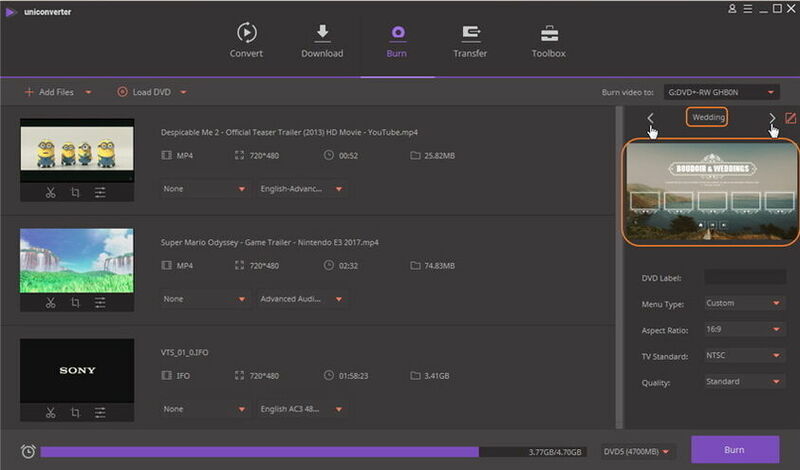 Wondershare UniConverter (originally Wondershare Video Converter Ultimate) also allows you to make a physical backup copy of your video collection. Here’s how to burn videos to a playable DVD for your guidance. Besides, we can support burning Blu-ray videos to DVD for Windows version. 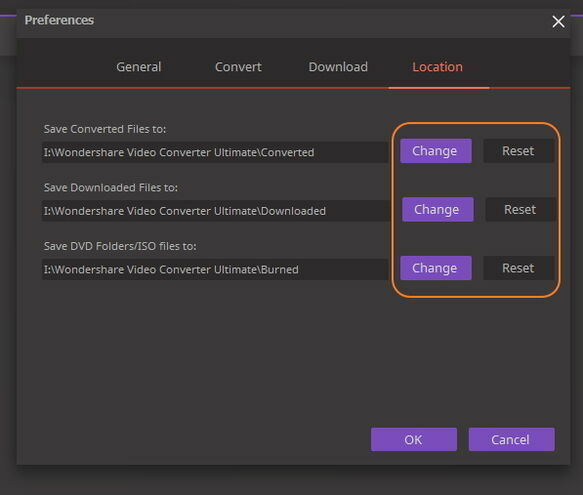 Run Wondershare UniConverter (originally Wondershare Video Converter Ultimate) and click Burn Section in the top, you’ll get an interface as below. Then you'd have 3 options to load videos. 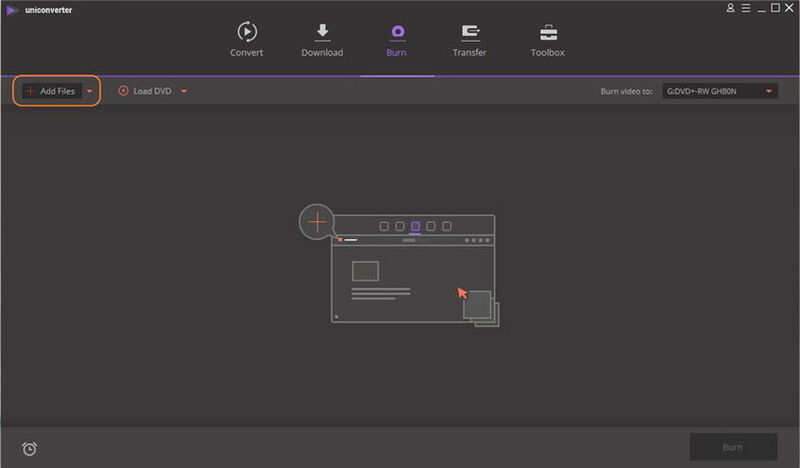 Go to Convert > Converted to find your target video, right-click it and choose Add to Burn List. 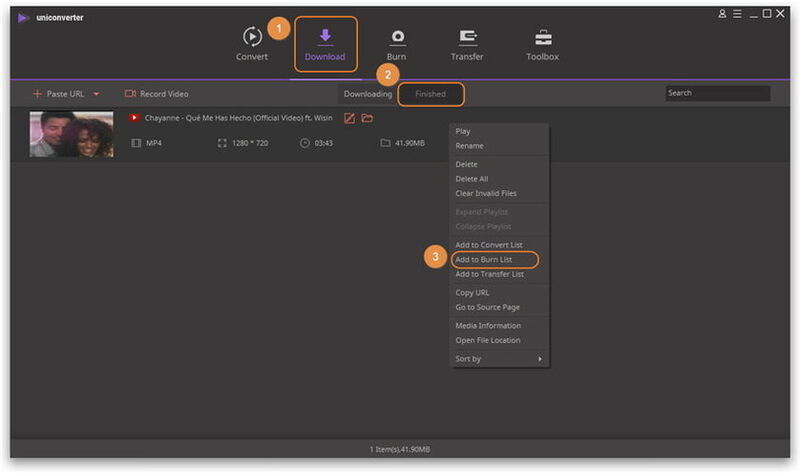 Go to Download > Finished to choose from downloaded and recorded video, right-click the selected one and click Add to Burn List. Click the left or right arrow to switch DVD template, you can see the template theme in the middle and the thumbnail below. 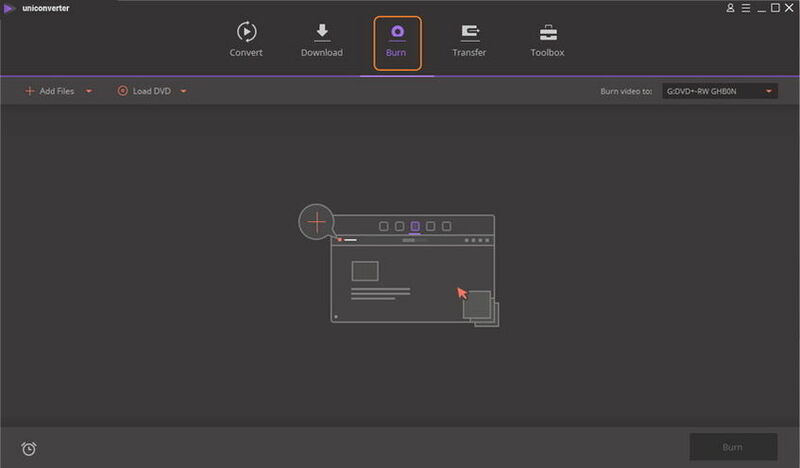 For more templates, you can click the template thumbnail or the edit icon in the top-right corner. 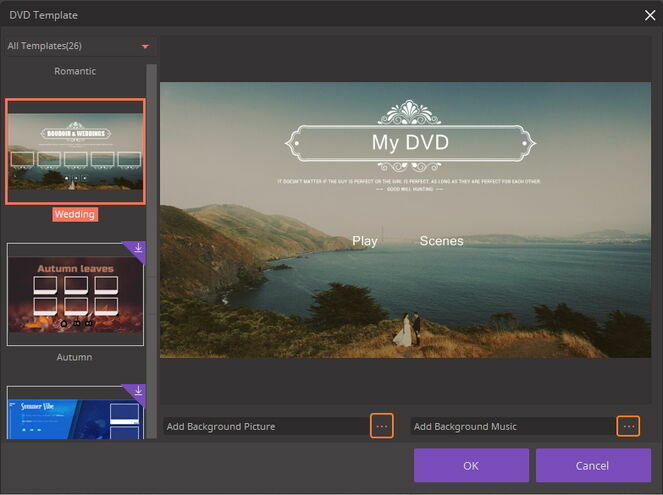 There’ll be a separate DVD Template window, you can add background picture or music as you like. To convert video to DVD, there're generally 2 situations need your concern. Make sure you're following the right one. 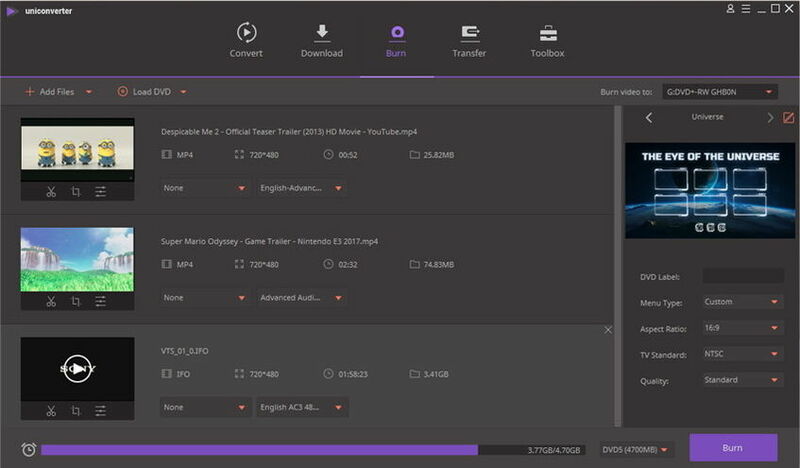 If you want to burn video to Blu-ray, you need to insert the disc to your computer first, then choose the target folder beside Burn video to:, then click to choose BD type and click Burn to proceed with Blu-ray burning. This goes for the situation when you don't have disc at hand. 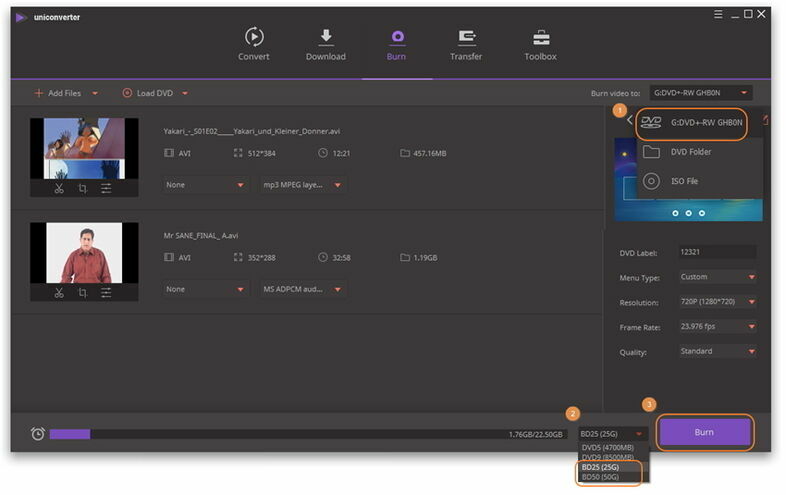 All you need is to select DVD Folder or ISO File beside Burn video to:, and then click Burn to starting converting video to DVD folder or ISO file. Note that the burned DVD folder or ISO files will be saved to F:\Wondershare UniConverter\Burned by default. 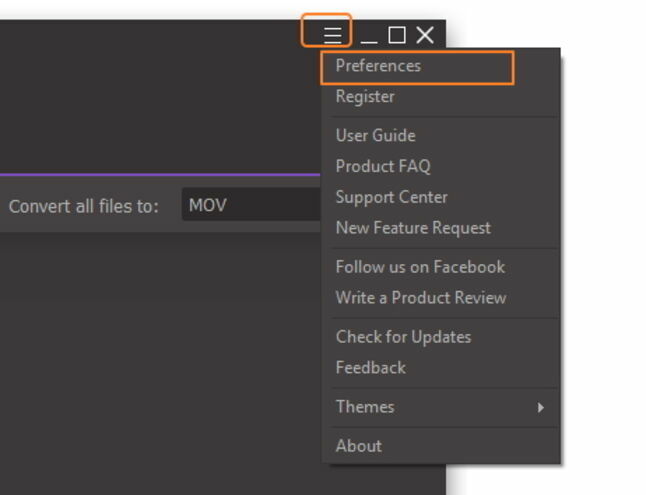 Tip: If you want to change the destination folder for burned DVD files, you can click Menu > Preference to get the Preferences window. 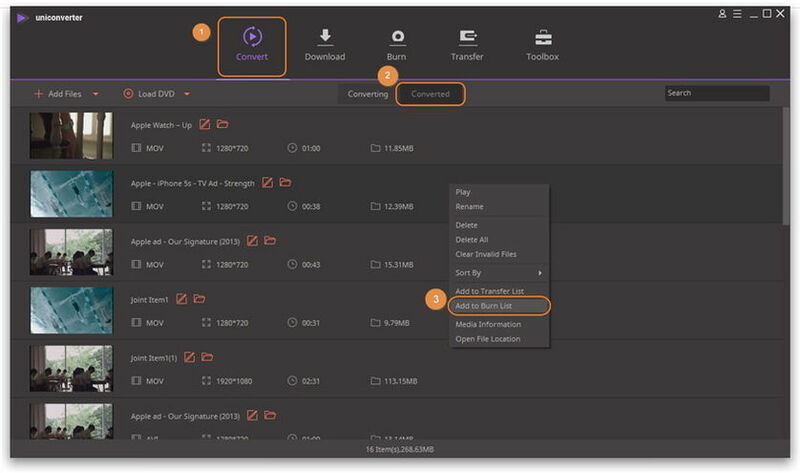 If you want to burn audio files to CD easily, just move to How to Burn Music to CD >> to learn more.